What Action Should I Take If Involved In A Car Crash In Florida? While we all try to be safe and responsible drivers, someone else’s reckless decision behind the wheel may only take a second, and the resulting injuries to you or your loved ones could last a lifetime. Here are seven important steps to keep in mind if you’re faced with an automobile accident in Florida due to someone else’s heedlessness. Call 911 immediately to report the accident. Take photos with your cell phone to document the accident. Make your best effort to collect names and addresses of all witnesses. See your doctor immediately, even if you don’t believe you have suffered any injuries; injuries suffered in a car crash are not always immediately apparent. Call Fenstersheib Law Group, P.A., toll-free, at 1-800-TellRobert. Download our Tell Robert Phone App to track accident details. Our App is available on Google Play or iTunes App Store. 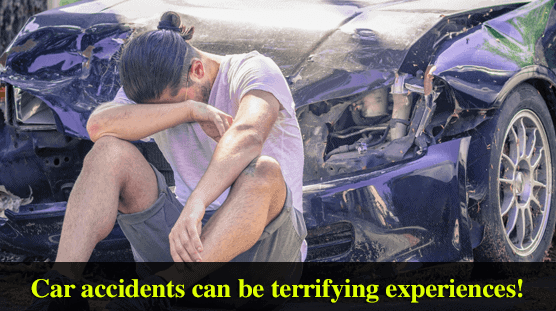 If you or a loved one has been injured in a car crash, the skilled and experienced attorneys at Fenstersheib Law Group, P.A., have been helping auto accident victims in Florida for over thirty years. Let us put that experience to work for you – we will evaluate your options free of charge and advise you of the necessary steps to secure your legal rights and make sure you get the compensation you deserve for your pain and suffering. Call 1-800-TellRobert – our phones are answered 24 hours a day, 7 days per week. Home > Accidents > What Action Should I Take If Involved In A Car Crash In Florida?